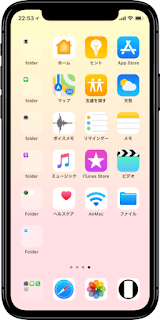 The design of the 10th anniversary iPhone X has a frame on the upper front dedicated to the TrueDepth camera for the Face ID function and for the popular Animojis. This controversial frame creates a kind of "ears" in the corners of the OLED screen. 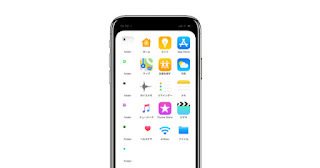 Some users do not mind this design element of the iPhone X, there are even people who love it. But many other users this design did not like anything. If you are one of those people, we have found a solution that may interest you. We are talking about some wallpapers or wallpapers that will help you hide the controversial ears of the iPhone X. Let's start! 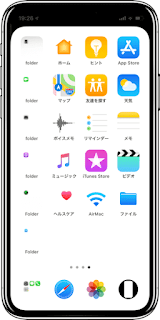 We have found a selection of wallpapers that, in addition to hiding the frame and the ears of the iPhone X, also make disappear the funds of the dock and folders. Twitter @heyeased user has shared with the world a set of wallpapers specially designed for the iPhone X. It has been creating wallpapers for years with very interesting effects for iOS , and if you do not like the ears of your brand new iPhone X ... These wallpapers will like you. 4. Press on Increase contrast. 5. Activate the "Reduce transparency" option.